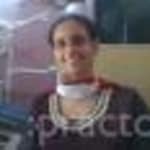 Dr. Amarjeet Saini is a renowned Dentist in Rohini, Delhi. Doctor has been a practicing Dentist for 15 years. Doctor has completed BDS. You can consult Dr. Amarjeet Saini at Dental Clinic in Rohini, Delhi. Don?t wait in a queue, book an instant appointment online with Dr. Amarjeet Saini on Lybrate.com. Surprising or not, the difference between a healthy smile and frequent visits to the dentist might be your diet. Even if you have a perfect oral hygiene routine, it might be hard to keep your teeth healthy, if you don’t watch what you eat. Too often, we see food as being only the villain when it comes to oral health. After all, it’s sugars and acids from food and drinks that do most of the damage to our teeth. However, there are many types of food that not only don’t harm your teeth as much but can even give a big boost to your oral health. From preventing cavities and periodontal disease to even freshening your breath and whitening your teeth, the foods on this list can match the claims of the fanciest toothpaste and mouthwashes on the market. Most of them are actually pretty tasty as well, so take out your shopping list and get ready to add some teeth-friendly goodies. Tooth enamel is, well, minerals. Different acidic foods and drinks may cause erosion of the enamel, so to make your teeth strong again you need to put some minerals back and try to restore what is lost. The main heroes here are calcium and phosphorous. These elements are the building blocks of enamel and consuming foods rich in them is a necessity if you want to keep your teeth strong and healthy. Hard, crunchy foods that contain lots of water are great for your teeth more than one way. First, chewing produces more saliva, which is the best natural neutralizer of the bacteria that causes cavities. Second, the texture of these foods also makes them naturally abrasive, so they gently scrub and clean teeth surfaces, removing plaque and food particles. It has to be raw fruits and vegetable though, so this is not an excuse to munch on chips and crackers. Vitamin c is powerful! it can strengthen blood vessels and reduce inflammation, which may help your gums stay healthier. Vitamin c is also required for the production of collagen, a key protein that helps you fight periodontal disease. Without vitamin c, your gums become sensitive and more susceptible to the bacteria causing periodontal disease. When it comes to their health benefits, antioxidants have almost celebrity status. How do they help your mouth stay healthy? antioxidants fight the bacteria that cause inflammation and periodontal disease. They help protect gums and other tissues from cell damage and bacterial infection. When it comes to bacteria in your body, there are tons of both good and bad bacteria. Probiotics are some of the best ones. More research is needed here, but there is already some evidence that probiotics may help decrease plaque and promote healthy gums. There are many other elements that might be beneficial for oral health. More research is needed, but some of the most promising candidates are anthocyanins (which may prevent the attachment of plaque on the teeth and fight oral cancer), arginine (an important amino acid which may disrupt the formation of plaque and reduce chances of cavities) and polyphenols (which may slow the growth of bacteria leading to plaque, preventing gum disease, cavities and bad breath). Do you like cheddar? it’s rich in calcium. In addition, cheese lowers the acid level in your mouth, which plague hates it for. What’s more, chewing on hard cheeses increases saliva production, which washes off some of the bacteria in the mouth. Want to munch on some not-so-goo-for-your-teeth snacks like crackers – add some cheddar and you’ll mitigate the damage. Just remember, hard, aged cheeses are the best options. Together with water, milk is the best drink when it comes to your teeth. It’s rich in calcium and other important elements. Milk also lowers the acid levels in the mouth, which helps fighting tooth decay. Your teeth’s superhero! water helps wash away food particles and keeps your saliva levels high. Saliva is actually your mouth's best defense against tooth decay because it contains proteins and minerals that naturally fight plaque and if you stay hydrated, you have an unlimited supply of it. Rich in minerals and important vitamins like vitamin d, fish are a crucial part of any teeth-friendly diet. Most meats are great for your oral health. They are packed with some of the most important nutrients mentioned above. Red meat and even organ meats are especially beneficial. Think polyphenols! polyphenols have been known to reduce bacteria and toxic products of bacteria in the mouth. Tea also tends to be rich in fluoride, which is a well known necessity for healthy teeth. It’s best if you drink it unsweetened as sugar and even honey could ruin the party. Nuts are full of health benefits for your teeth. They are packed with tons of important elements like calcium and phosphorus. Especially beneficial are almonds, brazil nuts and cashews, which help to fight bacteria that lead to tooth decay. This one is a no-brainer. Chewing gum boosts saliva production, washing away bacteria and food particles. Rich in polyphenols (just like tea), which keeps plaque at bay, thus lowering the risk of cavities. Fresh cranberries are especially effective at disrupting the process of plaque formation. Most citrus fruits are really acidic, which is not good for your teeth, but oranges are least acidic of all, and have all the health benefits that you can expect from fruits. Yogurt definitely ticks more than one good box for your oral health. It’s packed with calcium and probiotics that protect you against cavities, gum disease and even bad breath. Carrots are so tasty and full of tons of the most important minerals and vitamins for your mouth that they deserve a special mention. No wonder bugs bunny has perfect teeth. Will an apple a day keep the dentist away? probably not, but it will certainly help. It’s packed with key nutrients and vitamins. The allicin that is contained in garlic has strong antimicrobial properties. So, it helps you fight tooth decay and especially periodontal disease. Ginger is amazing in many ways. When it comes to oral health it might freshen your breath and inhibit bacteria growth. Consumption of whole grains (oatmeal, brown rice) lowers the risk of gum disease. Unlike many acidic fruits, raw pears are good at neutralizing acids, which makes them a perfect snack at any time. Kiwis have one of the highest concentrations of vitamin c.
When eaten raw, onions have powerful antibacterial properties especially against some of the bacteria that causes cavities and gum disease. Celery is so good for your teeth it’s worth a special mention. It’s in many ways the perfect snack for good oral health and is the closest we have to nature’s floss. A diet that includes soy may help promote healthy gums. Sushi just got better for your teeth! there is some evidence wasabi stops bacteria from sticking to your teeth. High in calcium and very efficient at scrubbing plaque off your teeth while you chew them. A healthy dose of vitamin a will do lots of good things for your enamel and gums. This is a surprise entry, as raisins even appear as the bad guys in some places when it comes to their effect on teeth. However, they are a source of phytochemicals like oleanolic, which may kill cavity-causing bacteria. They are also rich in antioxidants. An even more surprise entry! however, a series of recent studies have shown that black coffee could protect your teeth from tooth decay and actually help fight plaque. There of course is a small catch, the coffee needs to be black and unsweetened. Wait a second! haven’t we been told hundreds of times to avoid red wine in order to protect our teeth? well, yes…and no! according to a study in the journal of agricultural and food chemistry, a glass of red wine can have a strong antimicrobial effect against cavities causing bacteria. Cheers to these brave scientists! And lastly the clothes and hair at 7 and 4 % each. So make sure you take good care of your oral health which gives you the confidence to smile. 10 years before I did routecanal in front tooth and 2 years before only done crown on the same tooth, now again little pain and I felt have septic inside. Is it possible to do again route canal treatment bcoz already routecanal done and crown fixed if we again do then may possible to remove tooth or not, kindly suggest best thing. Hi. Please make sure that the pain is in the root canal treated teeth. Get an X-ray of the tooth. It will show the condition of the tooth. Yes Crown can be removed and Re-Rct can be done. Mere front teeth par chhot lagane ki wajah se wo slowly slowly hil rha aur pain bhi kr rha h. Usse thik krne ka koi upaaye bataye. I don' t want to loose my teeth. Plz. You need to see your dentist immediately if you want to save your tooth you need to get an x ray to see if the tooth has broken from the root or is it still attached. The more you delay the less chance you will have of saving your tooth. Does Lingual braces are safe and completely invisible how much time does it takes to treat 1 mm gap and how much does it cost. Of course it is safe, whether it's 1 mm or 10 mm, treatment cost will be same and cost depends on the Orthodontist and material he uses, it varies from clinic to clinic. My lower jaw left side continue three teeth missing. I need to fix these teeth. Which treatment is good for me. Note: I have diabetic also. Please show to dental surgeon you can have a removable partial denture, a fixed bridge and the latest one is implant and denture depends upon your condition and bone health condition fit for implant insertion. I am suffering from ulcers in my mouth from last 10 to 15 days and I have tried all types of medicines like b-complex and gels. Now what should I do? Homoeopathy has good treatment for your problem, without causing adverse effects. Take homoeopathic medicine merc sol 30 daily in the morning and in the evening and give feedback after 3 days. Did you know that oral ulcers are very common and most of the time they are very harmless?They generally heal in 9 to 10 days time. but did you also know that those ulcers which DO NOT HEAL within 3 weeks should be investigated by a specialist? A specialist means an oral pathologist , if one is unavailable, an oral diagnostician? I am Umesh I have gum problem. Recently I took root canal +cap treatment & cap for 2nd upper molar tooth. Whenever I brush I get blood. Doctor has suggested to gentle massage, which did not help. Will you please advice. We need more investigations with clinical examination to decide upon treatment. You may need deep cleaning along with surgical curettage or gum strengthening procedure. Rinse your mouth thoroughly with a mouth wash after every meals. Use pepsodent tooth paste & gum paint for 2 to 3 weeks. My mouth can not open properly because I chewing gutkha. Sir how it possible once again my mouth open properly. You should include antide antioxidants in your diet. Few injectable medicines are to be applied on your oral mucosa by the help of insulin syringe of 1 ml which will definitely get rid of short opening of mouth. For immediate response you start taking a capsule of SM fibro once a day for 45 days and consult me immediately.